De Ja Vu all over again! 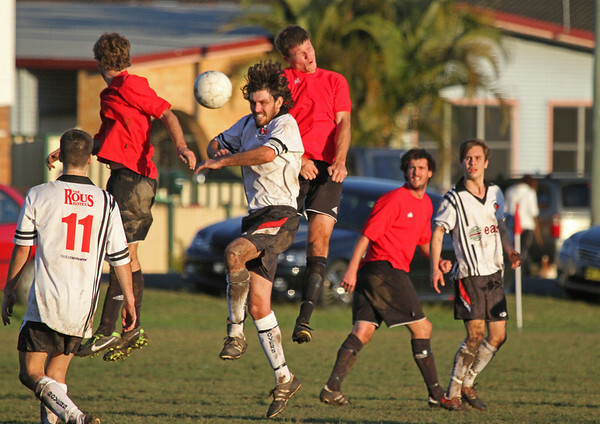 Over the last three years, clashes between Byron Bay and Rovers have been remarkably even, with matches ending in deadlocks more often than not. Rovers defied the trend with a win in the first round this season but the old hoodoo returned with a vengeance for the second, with both Reserves and Prems delivering draws. 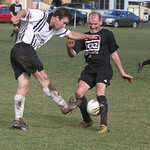 Despite some enterprising football the Rams reserves match ended in a scoreless draw. The game began with the Rams in control, with Brad Jones and James Packham marshalling a solid defence. Todd Knaus was dominant in the midfield and, though many chances came Byron's way, no-one managed to find the net. Keeper Lachlan Baynes was outstanding for the Rams. The Premiers' game saw the Rams forced to come from behind twice to come away with a single point. Despite dominating the play, the Byron squad couldn't convert their dominance into goals. Rovers drew first blood prompting a spirited rally from the Rams with Sam Owens crossing cleanly to Layton Barton who headed home the equaliser. 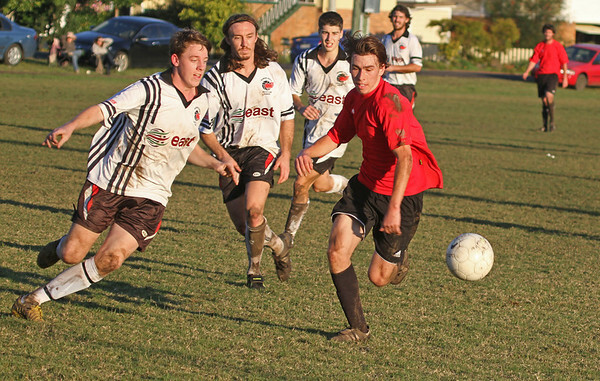 The Rams went into overdrive and dominated play with wave after wave of attack repelled by the dogged Rovers defence. 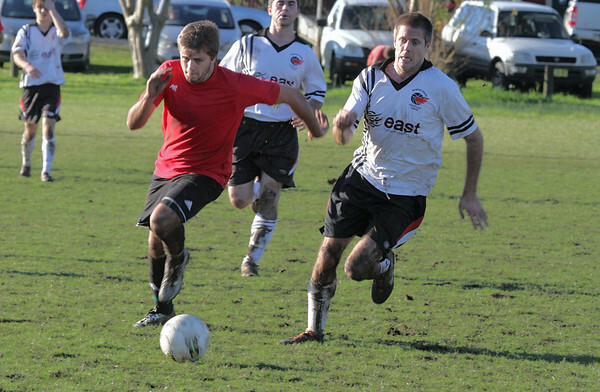 Lachlan Dewar led the midfield with his usual tenacity and flair while James Tomlinson was strong and tireless in defence. Half time saw the battle locked at one all. A cheeky free kick gave Rovers a bizarre and controversial goal that stunned the Rams, who found themselves behind again against the run of play. Byron rallied and surged forward again and again. With time running out, the Rams were awarded a penalty for a handball in the box. Barton's strike hit the post but young Sequoya Rawson-Smith pounced on the rebound and drove it home. Two all with 2 minutes remaining. With virtually the last kick of the game, George Martin took the Rams agonisingly close to the 3 points with a shot that went just wide. Best for the Rams in a a muddy and epic contest were James Tomlinson, Lachlan Dewar, Lucas O'Donnel and Layton Barton.